Spring Printables Pack with more than 70 spring activities for kids! It has been on my to do list to create a printables pack for each of the four seasons for a long time. My Winter Printables Pack was one of the first I created several years ago (although I have updated it a couple of times since then). And I did manage to put together a Fall Printables Pack late last year. Today, I am finally getting around to offering a Spring Printables Pack for you and your little ones to enjoy. 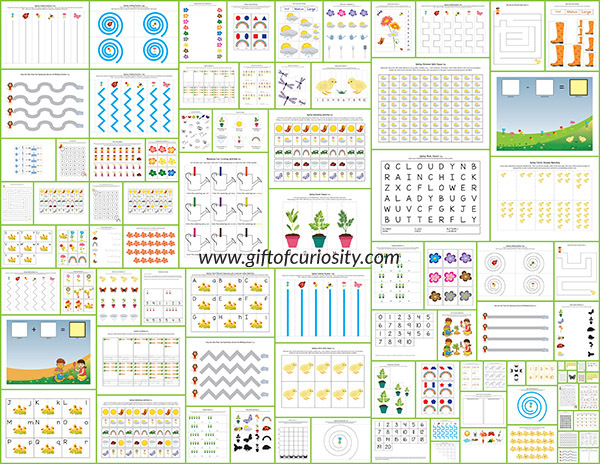 Note: Looking for more spring printables and activities? Check out my Spring Activities for Kids page! 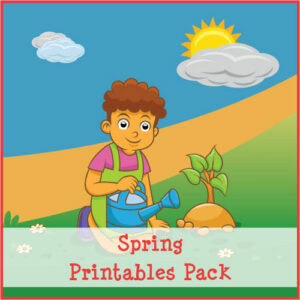 What’s in the Spring Printables Pack? 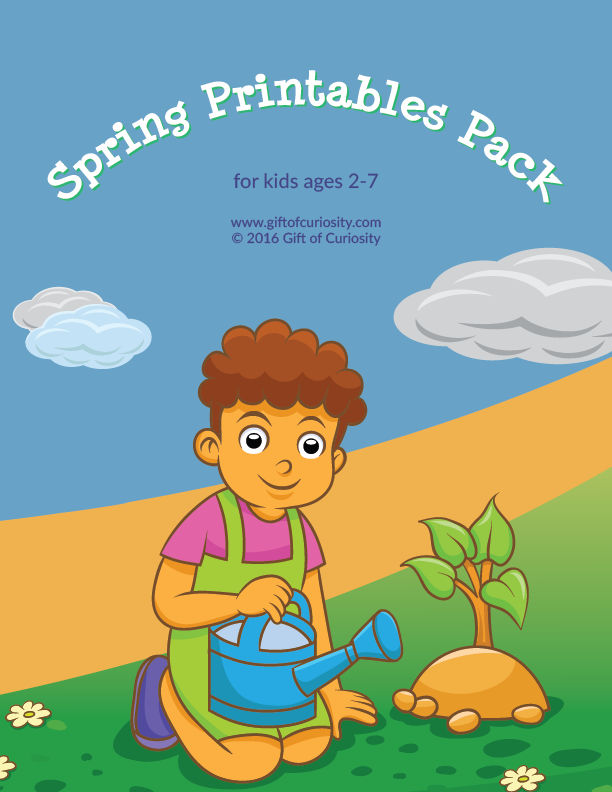 My Spring Printables Pack contains 73 spring-themed worksheets and activities for kids ages 2 to 7. This pack is a great way for kids to practice basic skills while also enjoying the sights of spring, such as flowers, insects, and rainbows. Want a copy of my Spring Printables Pack? Seed experiment: Do seeds need light to grow? You’ll find more spring learning resources on my Spring Activities for Kids Page and my Spring Activities Pinterest board. Follow Katie @ Gift of Curiosity’s board Spring Activities on Pinterest.